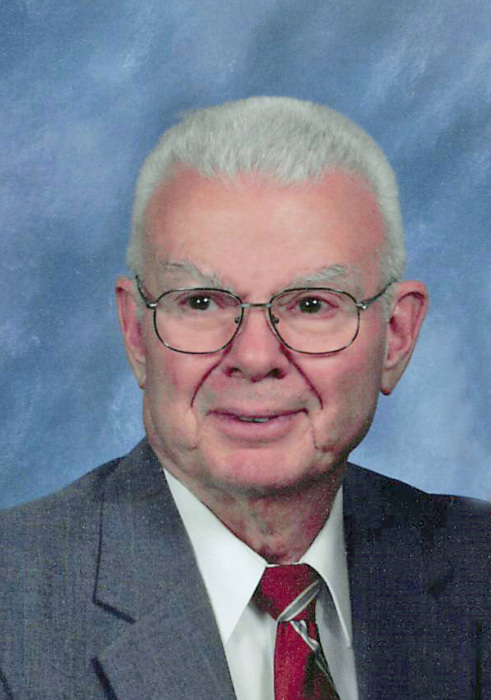 Robert F. Johnson, 87, Fergus Falls, died Tuesday, January 15, 2019, at his home. Robert Frank Johnson was born at his Grandfather's farm near Fullerton, North Dakota on June 2, 1931, to Anna W. (Krook) and Frank G. Johnson. He was baptized on July 5, 1931 at the Fullerton Union Church. He graduated from the Fullerton High School. He then attended Bottineau School of Forestry. After graduation from Bottineau, he enlisted in the United States Air Force where he trained and was awarded his wings as a Jet fighter-pilot. He served during the Korean Conflict with the Air Defense Command as 1st Lieutenant. On October 23, 1955, Bob married Barbara Jean Banks of Westhampton, New York at Riverhead, New York. In March of 1956, after his release from active duty, the couple moved to Fargo, N.D. to continue his education where he received his Master of Science Degree in Electrical Engineering from North Dakota State University. Upon Bob's graduation in June 1959, he took a position with Otter Tail Power Company in Fergus Falls, Minnesota where he worked in various positions, retiring in 1994. He was a member of the Federated Church and past district chairperson in Boy Scouts. Bob and Barbara have two children, Robert C. and Holly A. He was an active member of several gun clubs where he enjoyed a variety of shotgun target shooting. He also enjoyed and spent many hours bird hunting, reloading shells, crafting carvings of ducks and shorebirds, and completing crossword puzzles. He cherished his time at deer camp in Blackduck with good friends and could often be found fixing things. Preceding him in death were his parents, his wife, Barbara, brothers, Ray (Marie) and Richard (Dorothy). He is survived by his children, Holly and Robert C. (Elizabeth) and grandchildren, Charles and Molly and a sister, Mildred Enockson of Valley City, ND. Memorials preferred to the Federated Church in Fergus Falls. Memorial Service: 2:00 P.M., Sunday, January 20, 2019 at Federated Church in Fergus Falls, with a visitation starting at 12:30.